Because words are essential in building the thought connections in the brain, the more language a child experiences—through books and through conversation with others, not passively from television—the more advantaged socially, educationally, and in every way the child will be for the rest of his or her life (17-18). Reading aloud not only contributes to language and social development, but it also prepares children for reading independently in grade school. During the early childhood years, books that have recurring phrases/lines and repetitive sentence patterns are especially beneficial because they build several foundational pre-reading skills, such as word recognition, predicting skills, vocabulary development, and grammar/sentence models. Use your reading aloud experiences as natural spring boards (no lesson plan or teaching degree required) for talking about language and character. Each time you read the same book together, you can repeat prior concepts, expand them, or cover different areas as they are developmentally appropriate for your child. Cows can’t jump… (turn page) …but they can swim. Gorillas can’t swim… (turn page)…but they can swing. Until the final page, this same sentence pattern is followed with various other animals. Illustrator Jason A. Maas uses lively creatures and soft, uncluttered backgrounds, perfect for youngsters. As they listen and interact with Cows Can’t Jump, on a basic level they are learning to identify animals in the pictures. Also, children are expanding their sight and oral vocabulary of animals and verbs. The book offers an excellent opportunity to talk/ask about what other animals can swing, fly, swim, hop, scurry, and so forth. Next, there is the reoccurring sentence pattern. (Animal/noun) can’t (verb), but they can (verb). This sample sentence can stimulate fun word play important in speaking and writing development. Create your own sentences, and allow your toddler or preschool child to fill in the blank. For instance, say, “Birds can’t slither, but they can _____.” (A follow up question can be: What animal does slither?) Or you can switch it around and say, “Birds can’t ________, but they can sing.” Challenge your child to fill in one of the verbs from the book or from his own vocabulary. You can also just begin with the first part. Say, “Cats can’t ________.” Child fills in the blank. Together, brainstorm several things he can't do--cook, make a bed, drive a car, and so forth. As his language develops, challenge him to finish it. Cats can’t talk, but they can ______ (purr, stretch, sleep, cuddle). Prepare your child for filling in the blank by labeling the cat’s activities throughout the day. “Aww, look at Fluffy stretching.” “Do you hear her purr?” “What is Fluffy doing? She is sleeping.” Then, when the child encounters this sentence pattern, he will have several words to put into it. Continue this amusing word play (at home, in the car, or while waiting in line) with other familiar animals or objects. Also, there are some key sight words being repeated: can’t, but, they, and can. Reading these words over and over again will prompt your child to start recognizing them—first auditorily and, eventually, visually. It is excellent preparation for independent reading. Another aspect I love about Cows Can’t Jump (and other books with repetitive sentence patterns) is the opportunity to practice language and predicting skills. Older children listening to this book for the first time can be encouraged to guess what the animals CAN do. (Give lots of praise even for incorrect answers.) After reading the book a couple times, children (particularly younger ones) can anticipate and verbalize what is on the next page. Finally, this book teaches a valuable character lesson: individuality. Each animal is created to do certain skills or tasks. They are unique creatures. Similarly, God made each person in a special way. Teach your child that he doesn’t have to be like a sibling or a friend who may do a skill or task better. Instead, he just needs to be true to how he is fearfully and wonderfully made. As a result, children can be encouraged to respect individual differences. I challenge you to read aloud three stories a day—one favorite, one familiar, and one new. 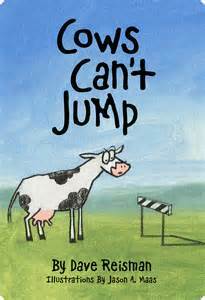 Add Cows Can’t Jump to your home or school library which is sure to become both a familiar and a favorite. It is available as a board book (ideal for babies and toddlers) and as a paperback. Fox, Mem. Reading Magic: Why Reading Aloud to Our Children Will Change Their Lives Forever. Harcourt: San Diego, 2001. Love your site. Reading and enjoying books is so important. Did you get my email? If not I can send it again. Repetitive text is so important at the early stages of reading. This sounds like such a great book. I love the cover too! I always love books with repetitive text - so great for young readers! What a cute looking book - I think my 1.5 year old son would enjoy the predictable nature of this book! He loves when he remembers what is coming up in a book - so this would play right into what he enjoys about reading with me!! I like the idea of being able to match verbs with the appropriate animals and the predictability of the text. 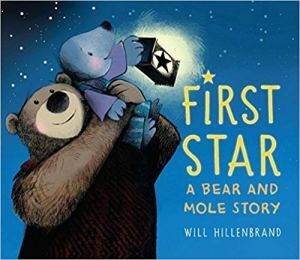 GFC follower (Carole Spring) and I think this book would be wonderful to read to my grandson. He loves seeing/hearing/reading about animals and I think this book would be enjoyable to him since it tells what different animals can and cannot do. I like that the book has repetitive sentence patterns - those seem to be his favorite type of books. I like the fact that this book is the opportunity to improve my child's sight and oral vocabulary of animals and verbs. I like the use of interesting verbs like scurry and slither. I totally agree with reading to your child. Besides the added learning benefit for them, the time you are able to spend with them reading is priceless! The title of the book grabbed me right away. I like how the book flows. So many childrens' books don't really flow. They have one one or two words per page, but don't have any real movement. Thanks for the review.